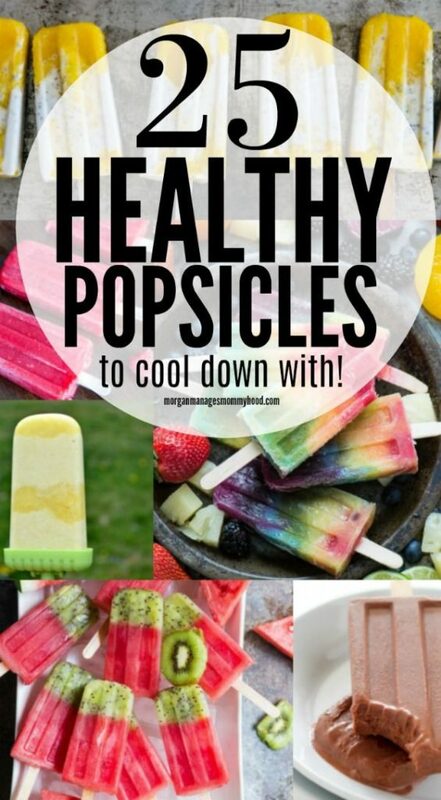 Healthy popsicles are a fun way to cool down without the guilt when the weather gets warm. These healthy summer treats are the perfect snack to serve your kids – healthy, delicious, and it feels like a treat! Make sure you stock your freezer up with healthy ice pops filled with fresh fruit, minimal or zero added sugar, and wholesome ingredients you can feel good about. Cut out the junky, sugar filled, artificial ingredient packed, store bought ice pops from the freezer aisle and make these simple popsicles yourself. Does anyone else remember eating endless ice pops as a kid? Those juicy, multicolored tubes that you buy defrosted and then freeze them at home? We ate 3 or 4 of those a day, I’m sure, cutting the sides of our cheeks on the plastic and dripping juice everywhere. My brother immediately claimed all of the blue and red ones while I obviously went for pink. We’d fight over who got the greens, and my poor parents would be stuck with the rejects. As much as I loved those as a kid, the reality of it is those were very little more than flavored sugar water, right? Now that my boys are the age where they’ll be looking for summer treats to cool them down, I’ve been on a mission to find easy, healthy popsicles that feel good about giving them. While I am all for the occasional sugar packed treat, I can almost always count on my kids won’t want to stop at one and will ask for one every. single. night. So if I can find a way to blend “treat” and “healthy” I’m all for it. It’s why we make so many veggie smoothies in our house – my kids genuinely think they are sweet treats, but I know they’re packed with veggies, fruits and good stuff, so I’m okay with serving them daily. Sometimes more than once – because let’s be honest, sometimes you’re just NOT in the mood to argue, you know? Make them yourself. By making popsicles yourself, you’re able to monitor the sugar, fats, and weird ingredients to ensure you are creating a healthier option. Use whole fruits. Something as simple as blending up fresh whole fruits (add some juice, coconut water, milk etc to thin as needed) you’re not only getting the vitamin of fruits, but also the fiber. Since they’re naturally sweet, you can also cut back on sweeteners. Natural sweeteners. If needed, choose natural sweeteners instead of sugar. Honey and maple syrup are my favorite, but stevia or coconut sugar work as well! Make it creamy. Adding coconut milk, coconut cream, whole milks or yogurt will add a ton of creaminess without needing an addition like ice cream. Bananas and avocados will also add plant based creaminess to healthy popsicles! Healthy fats. Add some healthy fats in the form of nut butters, seeds, coconut or avocado. You’ll get a yummy creamy texture without the guilt! But smoothies aren’t the only healthy way to cool down in the summer – which is why I love making my own healthy popsicles. 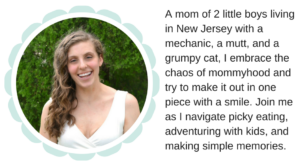 I’ve rounded up some of my favorites here to help you get inspired! 2 Ingredient Pina Colada Popsicles – these crowd pleasing healthy ice pops have no added sugar and take only 2 ingredients! Chocolate Peanut Butter Banana Yogurt Pops – who can say no to this combo? Sub sunflower seed butter to make allergy friendly. Healthy Greek Yogurt Chocolate Fudge Pops – like the fudge pops you loved growing up but way better for you! 3 Ingredient Blueberry Yogurt Swirl Popsicles – these are so simple and you can use whatever fruit your family loves. Strawberry Watermelon Popsicles – seriously the epitome of summer, these healthy popsicles only take 3 ingredients. Dairy Free Yogurt and Granola Popsicles – who said you can’t have an ice pop for breakfast? Strawberry Mango Chia Popsicles – I love the addition of chia in here – this whole recipe is packed with superfoods! Raspberry Lemon Greek Yoghurt Popsicles – these look so incredibly refreshing. Almond Milk Popsicles -pssssttt this healthy popsicle recipe is dipped in dark chocolate. It’s all about balance, right? Sugar Conscious Fruit and Tea Ice Pops -these use tea which is pretty much always my summer drink of choice. DIY Electrolyte Popsicles – skip the sugary electrolyte drinks and go for these instead on a hot summer day. Strawberry Cream Popsicles – these are Paleo and AIP friendly! Banana Avocado Popsicles – avocado in a popsicle? Yup! They look amazing, too. Kiwi Coconut Chia Popsicles – SO pretty – I cannot wait to try these healthy ice pops next time we grab kiwi. Dairy Free Coffee Popsicles – who needs iced coffee when you can have a coffee popsicle? Mango Orange Ice Pops – the color of these is gorgeous – and it starts as a smoothie! Smoothie Popsicles – this is my favorite hack for making healthy popsicles!! We do it all the time. Creamy Key Lime Pie Popsicles – key lime pie screams summer to me – these look amazing. Rainbow Popsicles – I’m not sure if I would every actually make these because I am wayyyyyy too lazy but they are so so pretty. Chocolate Chip Mint Popsicles -chocolate chip mint is in my top 5 ice cream flavors so I’m dying to make these asap. Kiwi Watermelon Popsicles – not only do these look delicious, but they’re so cute! Peaches and Cream Popsicles – it’s almost peach season as I’m typing this and I cannot wait to try them out. Coconut Chia Mango Popsicles – the color of these is amazing – who doesn’t love mango!? Fresh Fruit Popsicles – this would be a fun way to use up fruit that’s not being eaten fast enough. Sugar Free Orange Creamsicles – my kids love these so much – we always have the ingredients on hand. I hope that these healthy popsicles give you some inspiration for how to cool down this summer – make sure if you make them you let me know which are your favorites! If you enjoyed this healthy popsicle post, you may also like these..
Love this list and cannot wait to try some! We got a mini popsicle mold and have been going through about 8 per day. My kids love them and I’d like to try some of these for summer. Fun! My kids ask for popsicles daily at this point. It’s nice to have a healthier option to offer them!